Ring News 24Boxing NewsHow Seriously Should Floyd Mayweather’s MMA Teases Be Taken? How Seriously Should Floyd Mayweather’s MMA Teases Be Taken? If there is anything you have to give Floyd Mayweather credit for, amongst many, many things, it’s the fact that the man simply knows how to draw headlines no matter what time of the year. When he was fighting professionally in the boxing world, every time Mayweather fought it was looked at as somewhat of a ‘Super Bowl’ taking place in Las Vegas. Mayweather has retired from the sport of boxing in the wake of his 10th round TKO over Conor McGregor this past August, but his name still resonates. The latest with Mayweather is that he is “considering” a move to the mixed martial arts world, and many are wondering if that means we could be seeing a Mayweather vs. McGregor rematch inside of the UFC’s Octagon cage. Mayweather has reportedly even sought out the services of UFC welterweight champion Tyrone Woodley for help with his preparation. Mayweather (50-0, 27 KO’s) announced his retirement from boxing following his ultra-lucrative bout against UFC star Conor McGregor in August, another match in which he reportedly made in the upwards of $300 million. And in recent weeks Mayweather has continued to tease fans on social media by flirting with the idea of UFC fight. One things that Mayweather has no problem saying, is just how solid he believes his wrestling game already is. UFC president Dana White told ESPN, back in December, that he was in talks to possibly sign Mayweather and bring him over the UFC. White even mentioned back to how the Mayweather vs. McGregor talk was at first dismissed by people. One thing that shows how serious Mayweather is taking this, is the fact he mentioned it might even be 6-8 months of preparation, as his boxing training camps have always been just two months. Mayweather has reportedly mentioned how he could lure $1 billion from his time in the UFC, but it remains to be seen what the offer was or will be. Either way, Mayweather knows that some change is just around the corner. 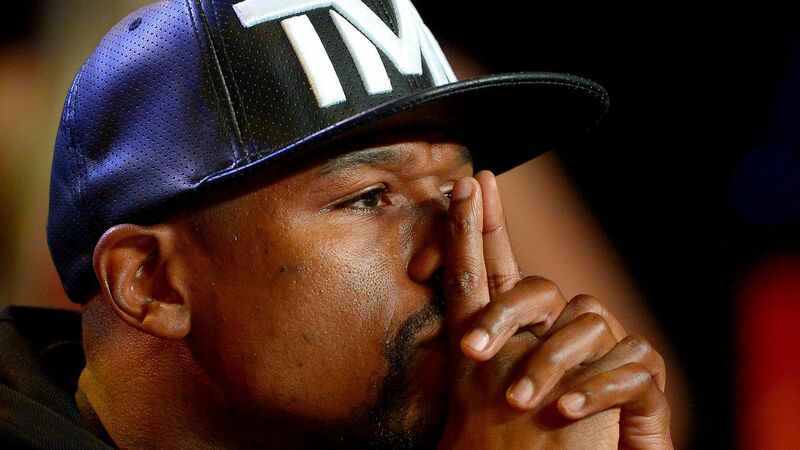 How serious should Mayweather be taken? Very seriously, if you ask me. For one, nobody believed he would face McGregor in a boxing match, yet it happened. Two, there is a great deal of money to be made. And finally, don’t overlook the fact that Mayweather is likely better at mixed Martial arts than he may be given credit for. These next few weeks should be interesting.